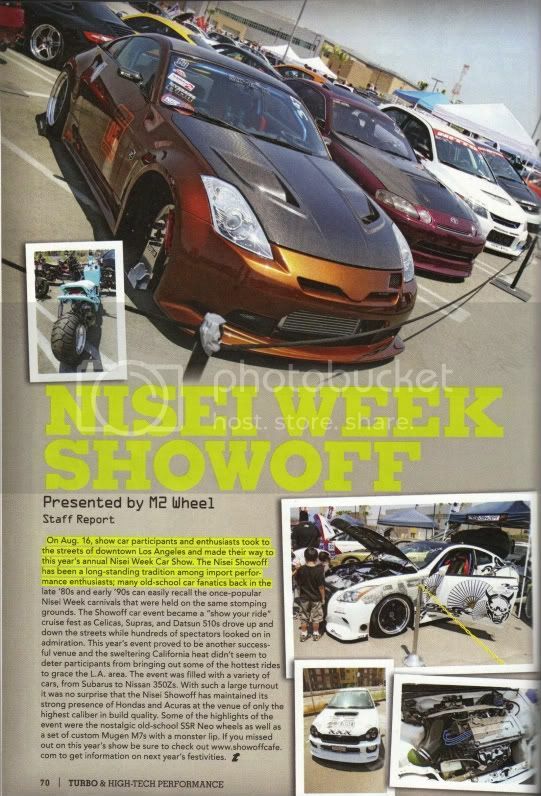 Congratulations to Archie Concon's 2000 Mitsubishi Mirage for being featured in the event coverage of Import Showoff Nisei Week (August 16, 2008) in Turbo Magazine January 2009 Issue, pgs 070-072. Not a full feature but a good start & indication of what is to come for our team in 2009. With the new face lift Concon debuted @ SEMA 2008, I'm sure there will be more full features or covers on his Mirage. Good job on continuing to represent esp. for the Las Vegas Chapter.